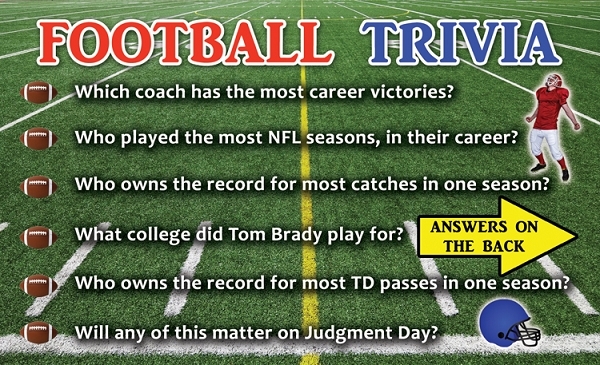 With the rise of idolatry in this country we are living in, this tract is a great resource for giving out to football lovers. We plan on taking this to a couple of football games to pass these out to the attendees. Very catchy trivia theme. We love these! 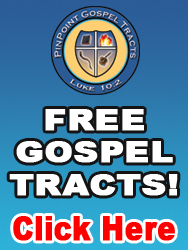 Thank you for making such high quality gospel tracts that get people's attention!! This was wonderful to pass out. I enjoy how eye-catching and catchy this tract is. PRAISE THE LORD! Being from CT where most people are Patriot idol obsessed, we typically hand out an incredible amount of football tracts during the winter. One man asked me who I was a fan of, I replied “I used to like the Patriots, but I smartened up, and now I root for Team Jesus!”. These tracts are great; people enjoy getting them, and then attempt to take their best shot at the trivia questions - Brother Kerrigan does an amazing job of presenting the gospel, while exposing the sin of idolatry!! These are a must add for your pocket full of tracts - get equipped!!! A really good Sports/Football Tract. 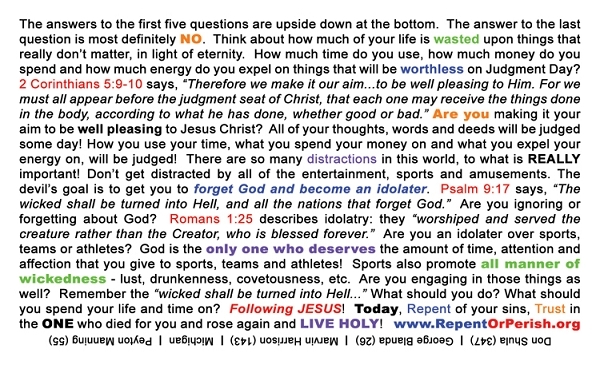 Our country is sports crazy, so people will pick this tract up and start to read it while it will open the conversation to other items such as church, salvation, etc.